What if we told you there’s a way to create an effective, attractive queueing system, provide privacy and security, advertise a message prominently, and improve wayfinding all with one system? We’re telling you that. 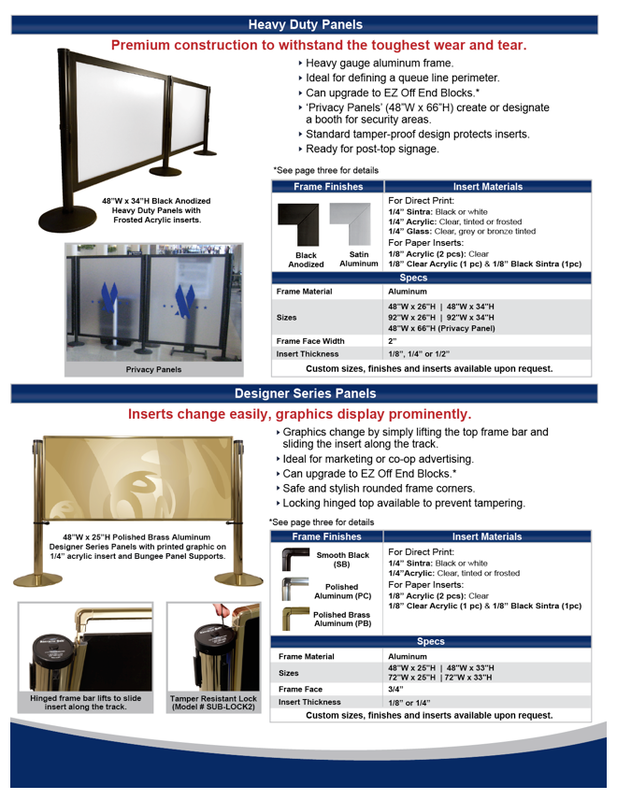 With Post-N-Panel crowd control, you get the benefits provided by security barricades, stanchions, and stand-alone signage, all in one cohesive setup. To learn more, check out the flier below, click here for more detailed spec sheets, or give one of our crowd engineers a call at 888.404.7892.